Algeria , a gateway between Africa and Europe , became independent after more than a million and a half Algerians were killed in a 7 years fight for independence from France in a struggle that is considered as one of the greatest revolution against colonialism during the 20 th century. As a developing country, Algeria has played a great role in the achievement of the independences of many other African and Third world countries. Algeria also had a great role within Third world fora such as NAM , OIC, G77, G15, African Union. 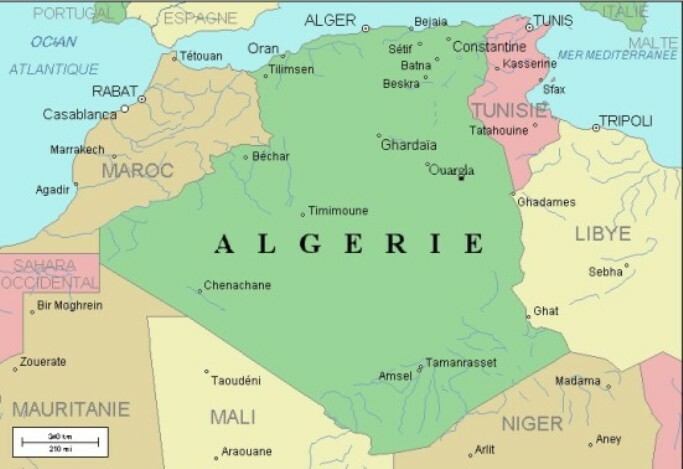 The largest country in Africa , Algeria is bordered in north by the Mediterranean sea , in the east by Tunisia and Libya , in the south by Niger and Mali ; in south-west by Mauritania and the Western Sahara and, in the west by Morocco . Algeria is composed of four principal sets of reliefs. To north, along the Mediterranean coast, the narrow plain extends from Algerian Tell. This discontinuous plain and of variable width (80 km to 190 km) as well as the contiguous valleys, shelter the large majority of the arable lands of the country. - Limiting the coastal plain to the south, a vast whole of higher reliefs is observed: two significant East-West directed assembly lines (the Tellian Atlas in north, the Saharian Atlas and the Aurès in the south) frame an area of the desert hign lands. To the south of the Saharian Atlas the immense desert extends from the Sahara which accounts for 80% of the surface of Algeria . The Sahara is composed for a great part of rock lands and stony plains. Two vast sand areas (Large Western Erg and Large Eastern Erg) constitute the principal sets of Saharan desert. 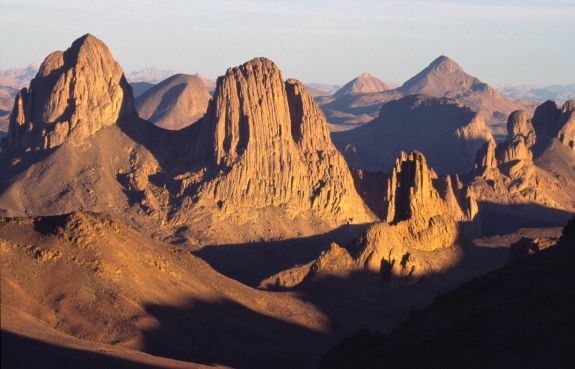 - Lastly, to the south of the Sahara the solid mass extends from Hoggar: it is a succession of the desert hign lands which rise in steps, dominated in its central part by imposing reliefs with the notched profile, which culminate to 2 908 m in the north of Tamanrasset (the point highest: Tahat 3 003m). The area of Tell, in north, is characterized by a Mediterranean climate, with hot and dry summers and soft and rainy winters. The average temperatures in summer and winter are respectively of 25 °C and 11 °C. The more one goes down towards the south, the more the climate becomes dry: annual precipitations in the hign lands and the Saharian Atlas do not exceed 200 to 400 mm the Sahara is a windy and very arid area, where the thermal amplitudes are often considerable: these variations in temperatures, extremely high the day and very low the night, are explained by the total absence of a moisture able to attenuate contrasts of them. The height of the annual rains is lower than 130 mm in the whole of the Algerian desert. Historically, Algeria was first known as the Kingdom of Numidia whose most famous Kings were Syphax, Massinissa and Jugurta who ruled the Kingdom during the III and the II century BJC. Numidia became Roman province in 46 BJC after a war between Jugurta and the romans. The Vandals invaded the roman North Africa 430 before the byzantyne conquest in 533. The byzantyne era finished with the arrival of Islam and the Arabs in 647.Many Muslim dynasties ruled the country from 776 to 1518 : the Rostomides( 776 to 909), the Fatimides (908 to 972), the Zirides (972 to 1148), the Hammadites (1007 to 1152) , the Almoravides(1052 to 1147 ) the Almohades (1121 to 1235) ,the Zianides (1235 to 1556). The Ottoman era started in 1518 when the Algiers was palced under the Ottoman authority by Barberousse who helped the rulers to fight the threat of the Spanish . 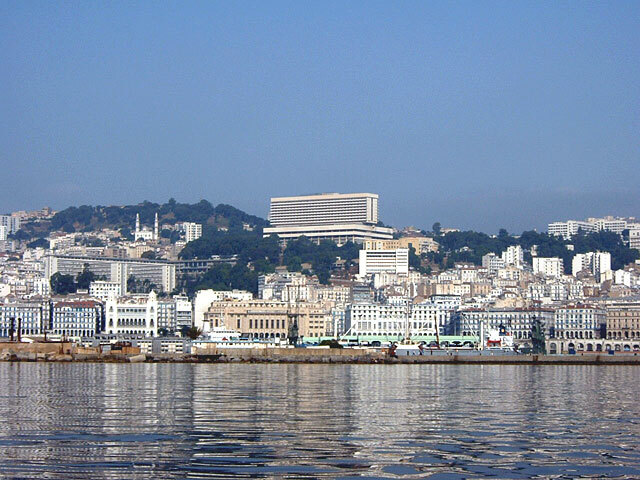 Algiers was then a recognized authority in the western Mediterranean and had established a huge naval fleet .Algiers has resisted many European offensives by the French , Spanish and English.In 1830 the French succeeded in their attempt to occupy the country but the conquest of the whole country finished only in 1857 although struggle against colonialism has continued till after 1880 in different parts of the country led by great national heroes like Emir Abdelkader, Cheikh El Mokrani, Cheikh Bouamama and Lla Fatma N’Soumer. 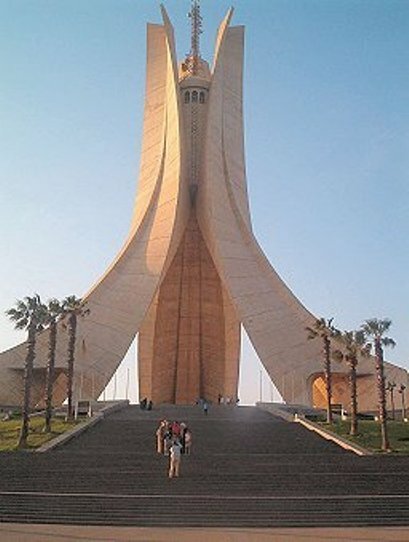 During the 20 th Century, the National Movement, after tough efforts, led the Algerian people to its great Liberation war against the French in 1954 which finished in 1962 by a referendum of self determination obtained after one million and half martyrs and a huge sacrifice from the Algerian people. Algerian independence movements led to the liberation war of 1954, and on July 5, 1962 , Algeria was proclaimed independent. In July 05, 1962 Algeria became independent after 130 years of colonialism. After the adoption in May 1963 of the first Algerian constitution, Ahmed ben Bella was elected in September 1963 first President of Algeria. In June 1965, Houari Boumediene became the Chairman of the “Council of Revolution”. In November 1976 a second constitution of Algeria was adopted and Houari Boumediene was elected President of the Republic in December 1976. In December 1978, Boumediene passed away. After a transitional period of 40 days, Chadli Bedjedid was elected in 1979 as the President of the Republic and reelected, twice since then, in 1983 and 1988. Following street demonstrations in October 1988, a new constitution was adopted in February 1989 which opened the era of multiparty system. After the cancellation of the results of the first round of the parliamentary elections in December 1991, President Chadli Bendjedid resigned. The “High Council of State” was set up under the Presidency of Mohamed Boudiaf. The latter was assassinated in June 1992, and Ali Kafi took over as head of the High Council of State until the end of its mandate in 1994. Then, Liamine Zeroual was nominated President of State. In November 1995, presidential elections were held, with Liamine Zeroual elected as President of the Republic. In 1996 the fourth Algerian constitution was adopted by referendum. In September 1998, President Liamine Zeroual announced early Presidential elections which were held in April 1999 with the victory of President Abdelaziz Bouteflika. In September 2005 the “Charter on Peace and National Reconciliation” was adopted by referendum. 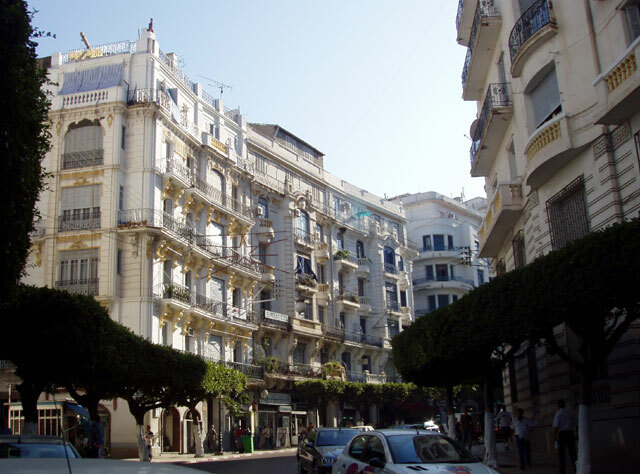 In April 2014, President Abdelaziz Bouteflika was reelected for a fourth term. Located in North Africa , Algeria is bordered by the Mediterranean Sea on the north, Morocco , Western Sahara and Mauritania on the west, Mali and Niger on the south, and Libya and Tunisia on the east. Anniversary of the Revolution-November 1st (1954). The President is elected for a five year term by direct, secret and universal suffrage. The head of the government presents members of the Government to the President of the Republic who appoints them. 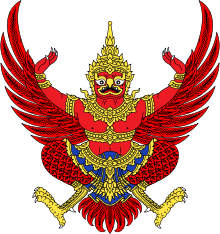 Council of Ministers is Chaired by the President of the Republic. Council of Government is chaired by the Head of Government. 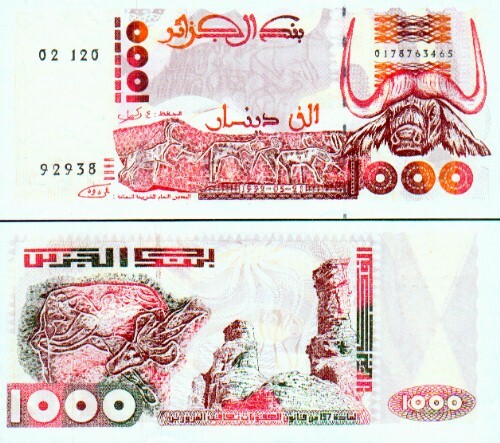 Algerian Dinar (AD)=one hundred centimes. 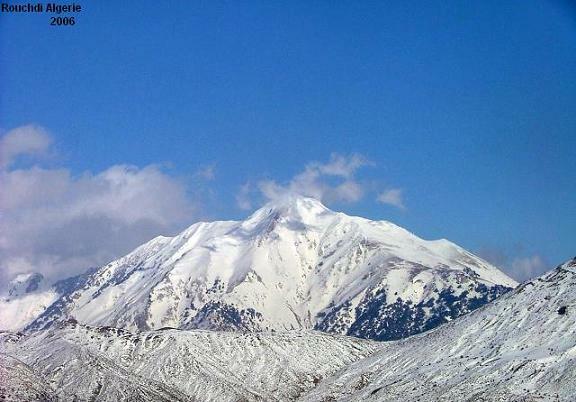 Part of the Algerian Sahara which is composed mostly of rock lands and stony plains Picture shows the highest point Tahat at 3,003m.